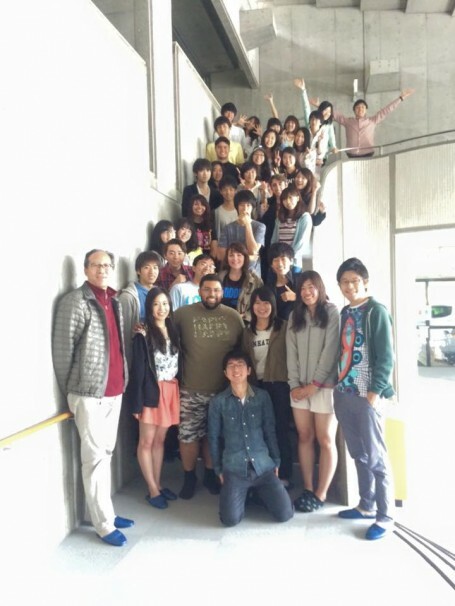 Thank you Meiji students and Lake Yamanaka Staff! June 7 was our last day at the Meiji University Lake Yamanaka Seminar House. After a delicious breakfast, we talked with the Meiji students in the classroom. 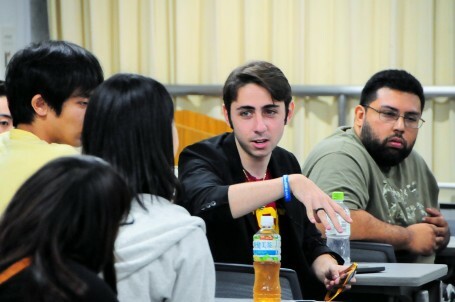 This was a really important talk for me because we mainly focused on Japanese and American perceptions of each other. Since my research topic concerns foreign and domestic perceptions of Japan in an international stage based on current Japanese pop culture, I think that both the Meiji students and our perceptions were very interesting to hear about, especially after spending three days together. One of the most interesting findings was learning that Japanese students didn’t have experience in participating in discussion-based presentations and even in this ideally safe space, most students were reluctant to join in the conversation unless an individual was prompted by another speaker. This was very interesting to me because I come from a different kind of mindset derived from the culture I grew up in. In my mind if I were in their positions I would see this discussion and presentation style as an opportunity to try out a different learning style. However when I try to look at it from a cultural perspective different from my own, I see how even speaking up in this situation is akin to talking to the teacher after class, or raising attention to yourself, which could make you stick out within the group setting in Japan. This kind of Japanese student mindset got me thinking about Japanese schools and how different they are from American ones. A couple of days ago, during the Lake Yamanaka retreat, I was talking with a second year Meiji student named Noriko. She really helped me a lot in understanding what kind of information is taught at a Japanese school. I asked her about her opinions on current Japanese Prime Minister Abe’s controversial interpretation on Article 9 of the Japanese Constitution and her views were very moderate and thoughtful. I was happy to hear that she learned of this issue in her public high school. I think it’s really great that they discuss current issues and allow the students to come up with their own opinions. This also tells me that like most other things, current conflicts are introduced within schools and ideas the government wants are affirmed through popular culture. Going back to the day’s final wrap-up discussion, I think it was interesting how out of all of the aspects of Japanese foreigners the USC students brought up through presentation, the only one that the Meiji students really responded to was about education. This made sense because as students, they are very familiar with the Japanese education system, however it was strange to me to see how unresponsive they were to aspects of Japanese popular culture. I believed that since the students were also consumers of popular culture they would be comfortable discussing that as well but they weren’t. This has taught me that even though popular culture is around them and they are familiar with it, the kind of culture each individual likes is different from that of another, unlike the education system, in which every student goes through with generally the same experience. Overall I thought the discussion was worthwhile however I felt like there should have been a more conclusive ending. While we had a list on the board of generalizations made of both cultures, there was no greater meaning behind those differences. I thought that instead of leaving everyone feeling separated and differentiated by culture, we could instead conclude that even though there are definite general differences, those differences have cultural counterparts, like what Pico Iyer said in his book, The Lady and the Monk. This entry was posted in Class, Culture, Yamanaka Lake by geajapan. Bookmark the permalink.